Due to so many homeowners being left homeless after the recent flooding and a huge number still trying to fight off the rising flood waters, many of the victims are being advised to seek financial help. Banks, Councils and the UK Tax Authority have generously offered to waive or delay bills for houses affected by the flooding. Insurance companies have also stated that they have response teams in place who are dealing with complaints, tax help and even energy bills. Thousands of homes are said to have been damaged by the current flooding and high speed winds over the winter period and should more treacherous weather approach, the local authorities identified more practical steps that can be taken under these tough circumstances. Somerset is one of the places that has been seriously affected by storms this winter and the County Council have said that their council tax will not be payable for the duration of time that people have had to leave their homes. This is because residents are evidently unable to use local services therefore, they have the right to apply for the bill to be temporarily cancelled however, these are dealt with on a case by case basis. As well as council tax, banks and building societies have announced that they are contemplating waiving overdraft fees for people that are being put out of pocket due to the terrible weather conditions. Another option available is that home owners could apply for a payment holiday from their mortgage, giving them a 3 month period in which they can recuperate however, this time period may then be added to the end of the mortgage. A problem with the above option is that it could well show up as a missed payment on an individual’s credit history meaning it could affect their withstanding credit score. However, James Jones, from the Credit Reference Agency Experian said that banks and building societies would not register these as missed payments so a credit history for the current personnel would not be affected. Around 350 complaints where received by The Ombudsman Service with around half of these being due to the bad weather and around 4 out of 10 of these are reasonable complaints and were more than often about rejected or partially paid claims. 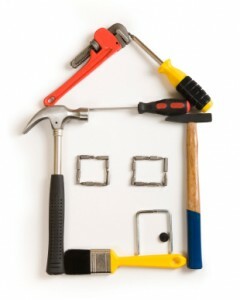 The experts have started to send out Association of British insurer assessors to assess the levels of damage on homes. Not only will houses that have been affected by the floods be subject to getting help but businesses have been told by HM Revenue & Customs that they will be receiving special treatment providing their setup has been severely damaged. To help businesses the UK Tax authority stated that a number of strategies will be available such as, agreeing instalments from those unable to pay tax bills, a practical approach for those who loose vital records in the floods, a suspension of debt collection for those affected and any deadlines that have been missed by tax payers resulting in penalties will be removed. Current Prime Minister David Cameron reveals the support scheme is worth 10 million and will provide affected businesses with the help they need to recover from the stormy weather. As part of the Governments current project to amend the damages caused by floods and treacherous winds, there has been further support set up for businesses in the affected areas. The 10 million pound scheme was formed to provide hardship funding for businesses not only situated in the direct area of flooding but businesses that have had momentous loss of trade, they will also be able to appeal for support. Any businesses that are assessed and are eligible will be able to redeem materials etc to help them continue on their trade having been affected by the fiercely unexpected weather. Going on the facts that many businesses have been flooded, if any important records/files have been damaged or for example files cannot be documented due to the flooding itself there will be an extension granted and penalties which usually occur for late fillings will not take place courtesy of Companies House. This scheme to help various businesses will be solely funded by the department for Business Innovation and Skills, however local authorities will take role of admin to deliver this service.